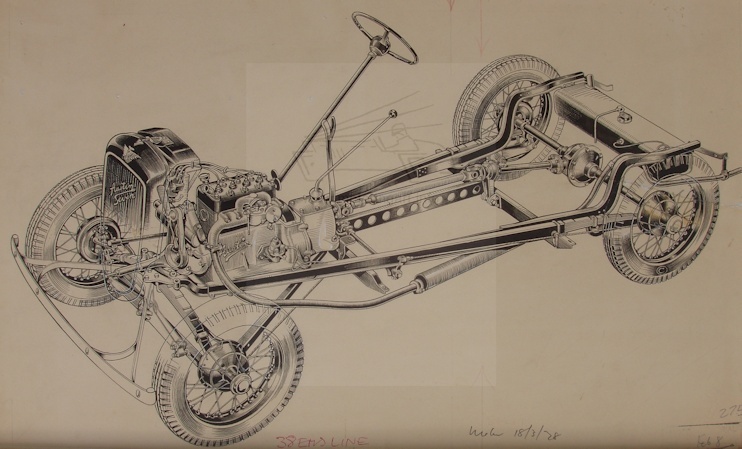 One of the leading technical motoring illustrators working for The Motor magazine from the 1930's to the 1950's. 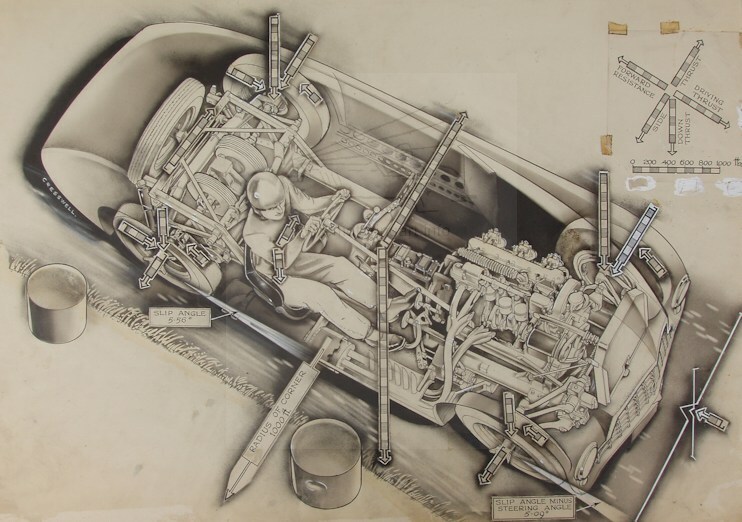 His illustrations were used in two volumes of the book The Grand Prix Car by Laurence Pomeroy. Exhibited as a Temple Press artist in the wartime exhibition of motoring art at the Rembrandt Rooms, London 5th October 1941. 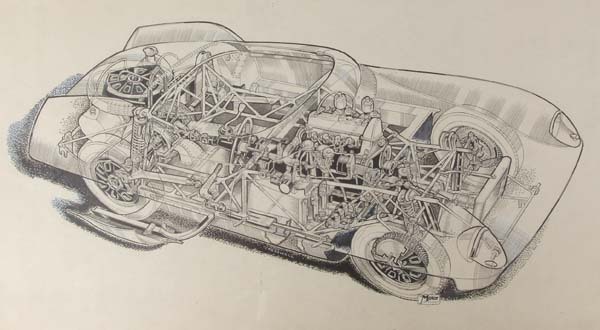 Drawing for The Motor showing the cornering forces on an Aston Martin sports racing car.